Inviocare offers, in cooperation with Nordea Finance Denmark A/S, an interest- and fee-free loan for all treatments we offer at the clinic. Complete the loan application at the clinic in collaboration with the staff – no later than one week before treatment. No later than one week after the application is completed, we will receive a response from Nordea Finans *. If you are approved, you can order the treatments you want up to the amount you are approved for. 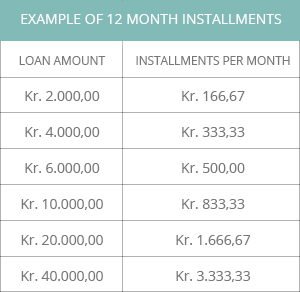 * You cannot be approved for the loan if you are in RKI. Cancellation right: According to section 19 of the Credit Contracts Act, you can revoke the credit agreement entered into within 14 days. If you have questions about our financing, please call us on tel. +45 51 88 15 34 or send an e-mail: cph@inviocare.com.